Interactive school assembly programs for elementary, middle and high school. Educational and Motivational Shows: Spelling, Math, Science, History, Bullying Prevention or Any Awareness Program. Get a free quote or call us direct at (201)-357-2979 for more information about school programs. School assembly programs can give educators the opportunity to tap into the pulse of their student body. Principals and administrators discover both power and potential of their students by using assembly-based moments to boost spirit and morale and build camaraderie. Students who care about their school and feel like they are apart of something usually have healthy outcomes. It’s a good idea to conduct group bonding activities on a regular basis to increase collaboration and effective communication amongst students. 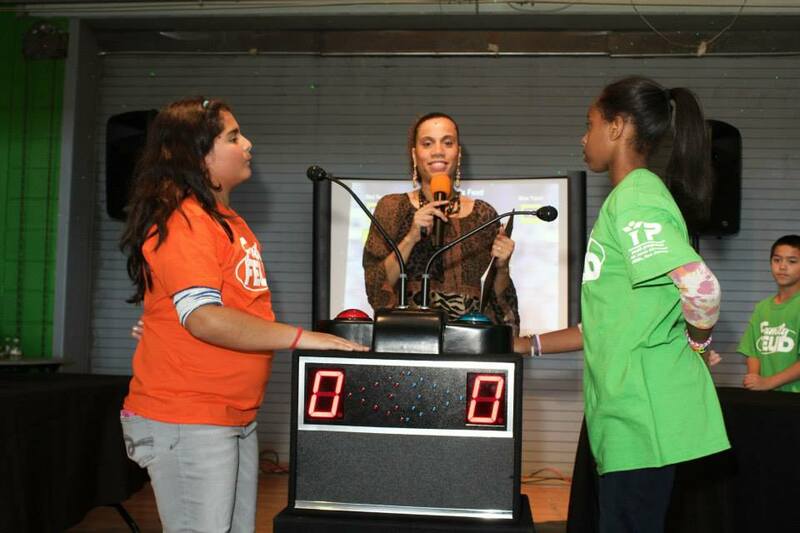 It’s PlayTyme Game Shows is a traveling interactive entertainment company that has designed several educational school assembly programs for students K-12. 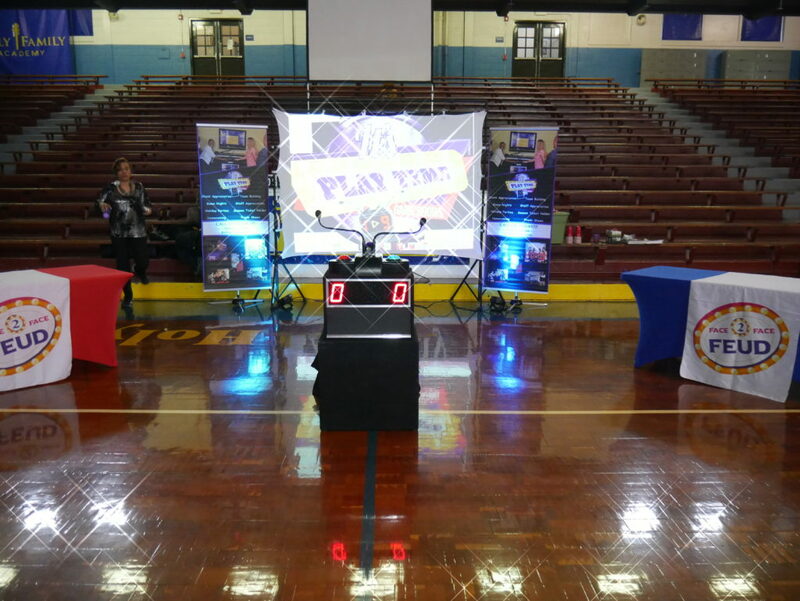 We transformed the traditional (boring) school assembly format into a high energy, exciting, interactive game show. We’ve also added led lights, giant buzzers, popular music and funny sound effects to hype up our shows as well. Take a look, press play, on the video which shows a typical set up we do for an elementary schools . Our educational competitions can be promoted as class vs. class, grade vs. grade, boy vs. girl, teachers vs. teachers and any combination you have in mind. We recognize the importance of clear and concise messaging, and we work very closely with the appointed educator to create the best possible questions and responses. Our most requested shows designed specifically for children are Kid’s Feud, Trivia Mania and The Kid’s Challenge. We understand the nature of young minds and how impressionable they are and deliver questions that compound clear and concise messaging as well. Creating an environment that encourages teamwork and communication is exciting and the benefits are immeasurably important. There are multiple learning moments each time a question is revealed and students may huddle to come up with the best possible responses. Some of our shows, like audience response live or cellphone trivia will add an interactive media component where students learn differently compared to prior generations. This type of technology based learning program will play an intricate role in how children retain information. We understand that these new thinker’s are digital learners so we’ve come up with different ways to stimulate their young minds. For instance, according to an article in Education Technology, “Interactive media has the capability to excite children by engaging multiple senses through illustration, animation, audio and touch. Their intuitive nature encourages children to learn through more interactive experiences. It’s Playtyme Game Shows has a lot to offer educators and is one of the most sought after companies to provide something new, engaging and unforgettable for students. Don’t’ delay, contact us at 201-357-2979, to learn more about our exciting programs and how you can implement them, easily, in your school assemblies today.